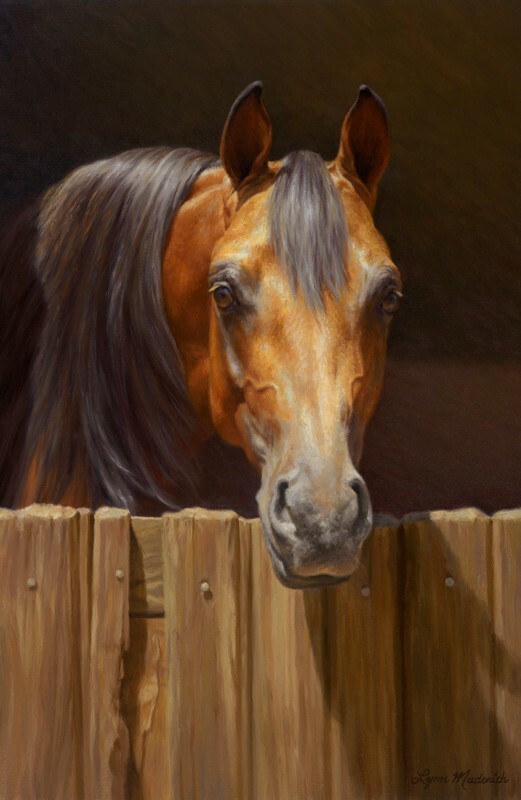 Winner of The Kasper Foundation Equine Art Award at the 2005 American Academy of Equine Art juried show. Winner of Best In Show and the WRVAG Founder’s Award at the 2010 Wind River Valley Artist’s Guild 61st National Show. This was the second equine painting I did after graduating from The Atelier. It was almost startling to me how much more accomplished this painting felt than any equine piece I had done before I found the school. Then the painting began to win awards which only confirmed I wasn’t imagining the improvement in my skills. I can’t thank this classic instruction enough for how it transformed my ability to see Nature and then paint it.